Elders Share the Arts is group volunteering projects work with corporations and community groups to deliver high-quality experiences. We create, develop and execute your projects with our team. 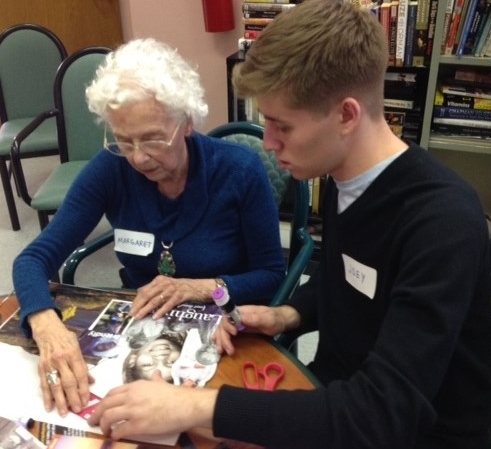 As our partner, you will work with ESTA staff to plan your Art Socials with older adults who are experiencing memory loss. We will help recruit, motivate and communicate with your volunteers and ensure that each program meets your goals and values. The day of your program requires no prior training or artistic experience. Elders Share the Arts staff will provide an on-site orientation and guidance throughout. Our projects are designed, organized and ready for volunteers to begin right away. Interested in being a host site for the project? We are always look for adult day centers to partner with!